I don't know how you did it, but I'm so proud of you! Proud of what you've become and what you've accomplished. I always knew you can make it! Despite all those things you went through, I never lost faith in you. You are stronger than you thought you were. I'm glad you listened to me. Who would have thought you'll come out of it better, bolder and stronger? You're the version of me I've always envisioned even in my worst state. I'm sorry that I put you through all of those mess out of my carelessness. Now we both know that putting our faith on other people doesn't always do us good. So, I'm glad that you did run when I asked you to. That was the bravest thing you did; to walk out and walk away despite the heaviness in your heart. I know it was difficult and it took you all the courage you could muster to accept the fact that what you fought for was in vain but that's the way things go. Remember what author Eric Ludy said, "Many a young woman has spent nights crying over a broken heart--not from an ended relationship, but from the FALSE HOPE of a relationship that never began." You weren't really sorry for the abrupt ending. You were only sorry that things didn't go your way. There will always be disappointments but the important thing is knowing how to deal with it, and that it's not the end of it all. I love that fought your way to get to where I am now. Success is always sweeter when you've tasted the bitterness of struggles. You'll never be able to appreciate what you have now and what you will have unless you've gone through not having it. Gratitude unlocks the magic. I'm glad you used it one too many times. You can never have too much gratitude in your heart. If it overflows, it blesses more people around you and you never get empty ever. When you started to doubt yourself and God's plans for you then, I was heartbroken. It's painful to watch you tremble. I thought you'll never get past it. But, you never let go; you never gave up. That's my girl. You strongly believed and still believe that there may be drought around you, but the abundance of rain is on it's way. A storm cloud full of God's blessings is about to pour. Hold on to the people who give you wings. Those who laugh with you and your quirks, and silly mistakes but never judge you. Those who believe in you like I do. They were put in your life to make things easier and lovelier so don't scare them away. Remember to always put people over things. It will take you quite a while before you will realize the difference between things that you should trash and keep. Man, it took you like forever to stop chasing what you thought was everything you ever wanted! I can't blame you for having a heart that never gets tired of giving second chances. You're a good person. Self-love should still be your top priority. Protect yourself from the people who hurt and will hurt you. That's the most selfless gift you can give yourself. You will never believe what great things await you! Continue to open yourself up to possibilities and you will be surprised! We have an amazing God and He was serious when He said "I know the plans I have for you. Plans to prosper you and not to harm you. Plans to give you hope and a future" (Jeremiah 29:11). Just keep on believing. Above all, keep on loving Him for "No eye has seen, no ear has heard, and no mind has imagined what God has prepared for those who love Him" (1 Corinthians 2:9). I know you love surprises! That's why I'm 100% sure you're gonna enjoy what lies ahead. It's more than what we both ever dreamed and hoped for. You're gonna have a blast! Greater things await you. "Remember to always put people over things." I do, I will always do. Our Father in heaven is so pleased to read this letter Super Lux! Continue to inspire young minds like mine with your wisdom whose truth you have tested for years of your experience. More powers! What an inspiring letter - love it! The perfect letter to keep on going indeed. That is true too, too much kindness can kill you. Hi, dear SuperLux! Composing a letter from your future self is a very useful process. It inspires confidence. Imagine if you were asked to walk a tightrope 100 feet off the ground with no net under you. How would you feel? Unless you are a seasoned circus performer you would be terrified and shaky and would probably fall. Now imagine if that same tightrope was lowered to only one foot off the ground. Suddenly, magically, you would feel much more confident walking across and probably wouldn't fall. Yet, it's the very same task. You merely set aside your fears and did it. The difference was your level of confidence. What if someone guaranteed you that you would not fall, that you COULD NOT fall. It would inspire even greater confidence and a sense of mastery. That someone needs to be you. If your future self tells you that everything is going to turn out for the best, it fills you with the same confidence that would come if somebody else guaranteed it. Load up on positive affirmations like these because they help spur you on to attaining your goals. They give you the confidence you need to move beyond broken, dysfunctional relationships and other setbacks that are an inevitable part of everyone's life. What a lovely letter from your future self. I'm sure you'll keep it close as you move forward, just in case you need a little support! Beautifully written but the way! I'm rooting for you, SuperLux! Beautiful and inspiring post, darling! God is always good and everyday is a blessing. Strong words... and so true! Sometimes you have to give up on things that don't lead you to something good. It is hard, but you have to do it. Very meaningful but will take me a year maybe 2 to complete if i were to write like that. Your future self is certainly very wise and very kind to let you know it is all going to turn out perfectly! Maybe differently but perfectly. Go girl! This is so meaningful, impacting and important. I am so pleased you decided to write this. I can relate to so much of it- a different situation- but your words can be applied to so much in life. Interesting to write letters to ourselves at different times. For a long time I wrote a letter to myself at the start of every school year (because I had my students do it on the first day of school). When we read our letters on the last day of school I was always amazed at what I had written 10 months before. Love your positive messages to yourself. It's really interestingto write letters to ourselves!!!! So beautiful Lux! "Success is always sweeter when you've tasted the bitterness of life." What incredible truth lies in that statement. You absolutely must see the dark to fully appreciate the light. I have no doubt great things await you! Many blessings :). Hi Lux! I love that little sentence "That's my girl." Isn't it wonderful for you love yourself so much that you can see the good steps you are making now? What a great way to give yourself hope, because there always is hope! This letter inspires, motivates and builds confidence not only in you but to all of us readers. There are many pearls of wisdom in this fantastic letter. So cool + uplifting. :) Great idea! Is good to love and be positive very well written doll. This was absolutely wonderful to read. I wish I knew something back then that I know now. Great post. Yes, in the words of the song, "...Learning to love yourself is the greatest love if all!" Hmmm not sure what my future self would tell me. Part of leaning is making mistakes so not sure...hmmm. Beautiful and inspiring. And your new profile pic is lovely. Wow that quote, "Many a young woman has spent nights crying over a broken heart--not from an ended relationship, but from the FALSE HOPE of a relationship that never began." It's amazing!!! Perfect in fact and just what I needed to read right now. Thank you! I think writing letters like this to yourself is so special and great to look back on one fine day!! And this post will be even better when you read it 10 years from now! I'm 100% behind that gratitude statement. I loved your letter. It's good to look back sometimes and see how far we've come, eh? Yes, nice letter, please convey optimism !! This is a great letter to yourself! We often forget to tell ourselves how proud we are for our accomplishments, but we should. You write some very interesting posts, I enjoyed reading this one. This is an interesting writing exercise. Thanks for stopping by my blog! You are a wonderful writer! TFS! Great letter from your future self! Love that quote about how women cried over false hopes... I too have been one of those women. I also know a lot of women who did the same, so I guess it is true. Wonderful letter to yourself. Everyone needs such motivation on occasion. Thanks for sharing. This morning I envisioned writing a testimony of my last five years ... in order to reflect on my journey and perhaps uplift someone else. Your post uplifted me today. It was exactly what I needed to hear. Exactly what I needed to be reminded of. Thank you for writing this ... it's beautifully written. what a great idea, and love its positivity. "Gorgeous". taht set the tone for me! :-) Great post. Hope you're having a nice week so far! This is such a lovely post and a really great idea and something I am now considering doing myself! Thanks for the great post. SO inspiring! I like how you express your thoughts! Great post and words to remember.. Have a happy weekend! What a beautiful letter! I loved reading your words, maybe I will try to do one of these myself! Happy thoughts make happy people. Nice letter. Inspiring. I've heard of letters being sent the other way round, a sort of what you'd say to your younger self but haven't seen one to your future self before. So many good truths in this letter to your future self. Creative! I like it. Thank you for stopping by my blog. Have a great weekend. I really like the concept of a letter from your future self. It's healing and enlightening to write, I imagine. It sounds as though you've learned a lot already from your future self. It always comes back to self worth. Doesn't it? 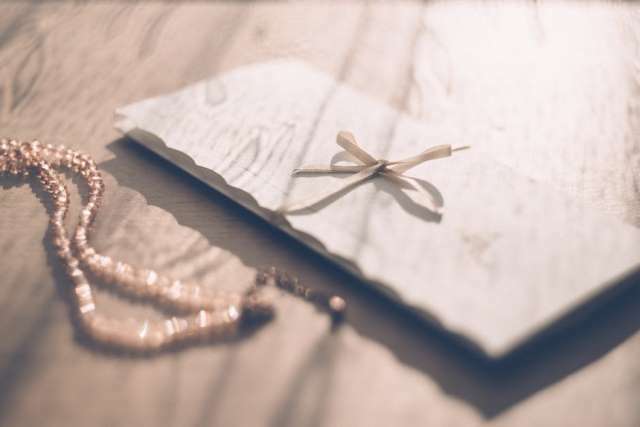 Your letter affirms your worth in a deeply meaningful way. Powerfully later to your future self. I may do this myself becauseI think will be a learning experience for me. Take care and enjoy your weekend. Such a great idea, they should encourage school children to do this! Hello from the single life. Well thought out letter. Most encouraging post! What a quaint idea to write a letter to your future self! Such a powerful letter! I love how God fearing you are, keep up the good work. God is watching. This letter was so inspiring! Very moving too! This is thoughtful :) You have given yourself the best gift I think! Adorei! Vou escrever uma carta dessas também. Lovely letter and great encouragement to yourself as you look forward to the future. Blessings! What a great letter :-) thanks for sharing it with us and for the inspiration. It reads like something I'll write to myself!!! Obviously we've been through similar stuff. It's great to be able to look back on the past and realise God worked all things out for your good. "Above all, keep on loving Him for 'No eye has seen, no ear has heard, and no mind has imagined what God has prepared for those who love Him' (1 Corinthians 2:9)." As my pastor said, "God is going to blow your mind!" Thanks for writing this post. Absolutely beautiful! It had me choking up thinking about my self-doubt and struggles. Thank you for being so vulnerable with all of us and having such an amazing attitude about pain. I am totally going to do this!